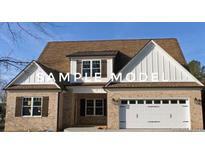 Below you can view all the homes for sale in the Winecoff Hills subdivision located in Concord North Carolina. Listings in Winecoff Hills are updated daily from data we receive from the Charlotte multiple listing service. To learn more about any of these homes or to receive custom notifications when a new property is listed for sale in Winecoff Hills, give us a call at 704 604 8836. This home will have a side entry garage. MLS#3475962. EXP REALTY LLC. This home has to be constructed. MLS#3466384. EXP REALTY LLC. This home will also have an unfinished basement. MLS#3450827. EXP REALTY LLC. 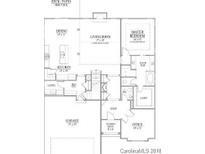 With site finished hardwood floors, fireplace, gourmet kitchen and beautiful custom painted(Repose Gray) color perimeter cabinets, center island cabinets stained Dark Walnut with Quartz counter tops (Carrara Marmi). MLS#3450843. EXP REALTY LLC. With its Marsh cabinets and molding throughout the main level, no detail has been missed. MLS#3450881. EXP REALTY LLC. This home will also include a large deck going on back. MLS#3450850. EXP REALTY LLC. There is still to add your personal touch to this home! MLS#3450873. EXP REALTY LLC. 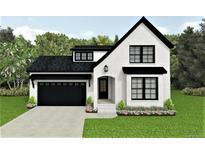 There is time to customize this home so don't wait! MLS#3450808. EXP REALTY LLC. This is a proposed home and changes can still be made. MLS#3450786. EXP REALTY LLC. This is a proposed home and changes can be made at this time. MLS#3450688. EXP REALTY LLC. This home will have a side entry garage. MLS#3450844. EXP REALTY LLC.